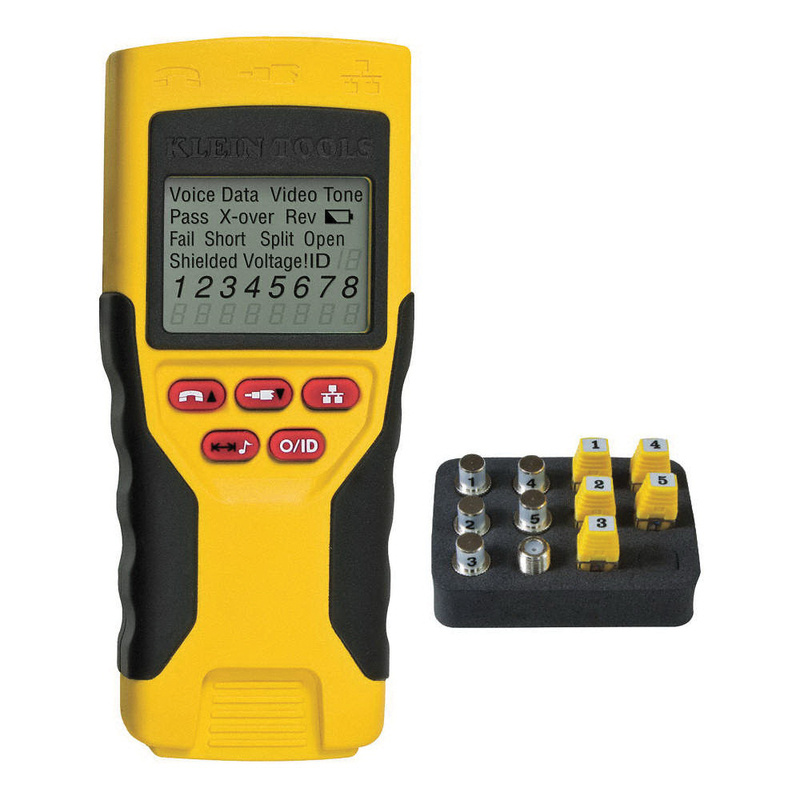 Klein Tools VDV Scout™ Pro LT series tester starter kit includes VDV Scout™ Pro LT Tester, five location RJ45 remotes and five location F-connector remotes. The kit contains extra-large 2.4-Inch display, 1 F to F barrel connector and 9-Volt alkaline. The integrated tone generator provides multiple tones and control of pins carrying tone. This kit offers continuity tests on voice, data and video connections.